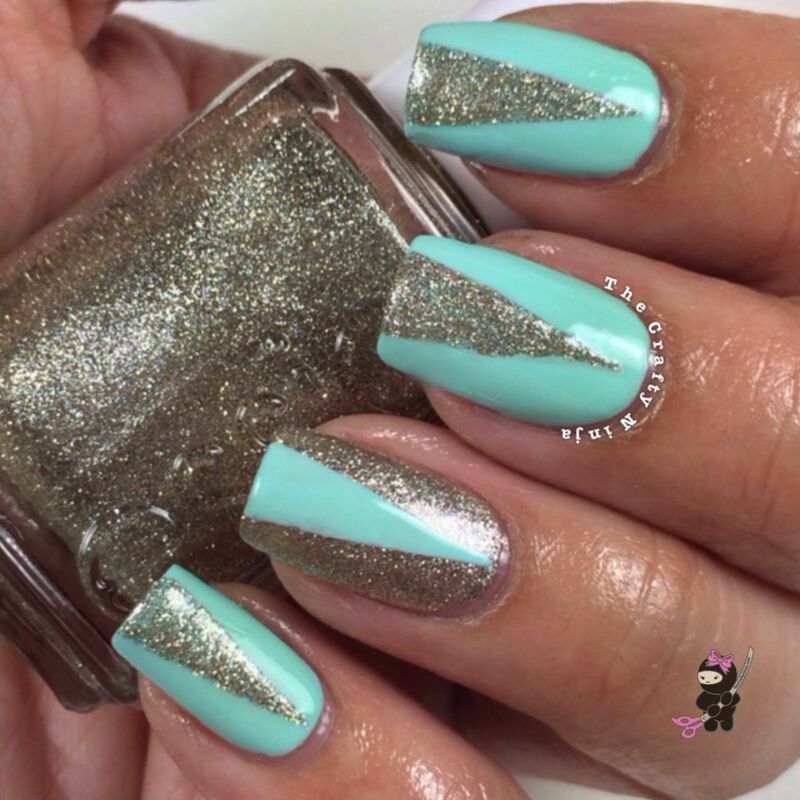 One of my favorite color combinations are Mint and Gold. 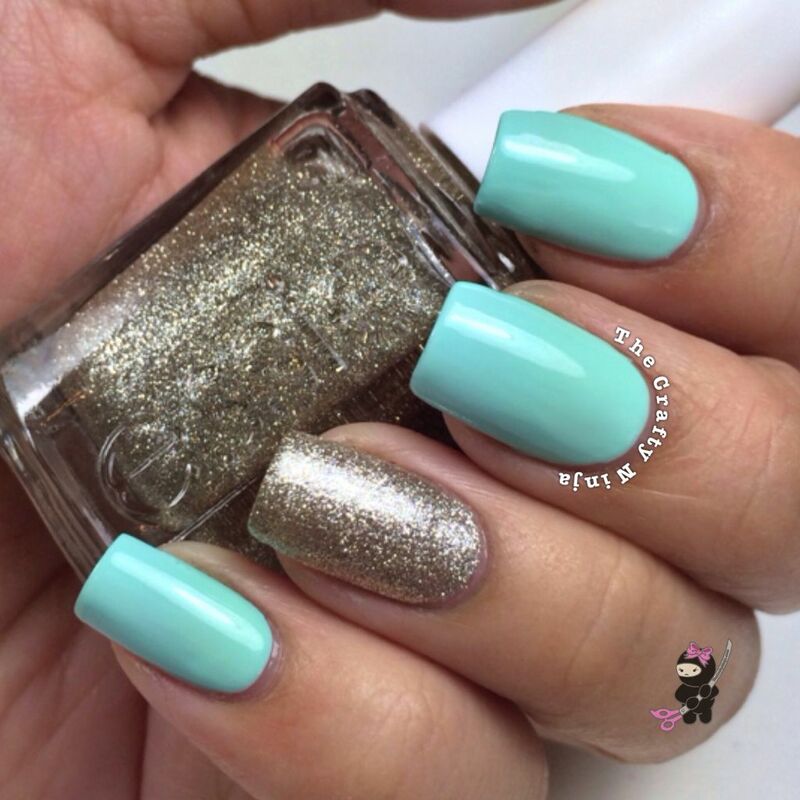 The nail polishes: The Face Shop GR501 (Mint), Essie Beyond Cozy (Glitter), and Seche Vite. 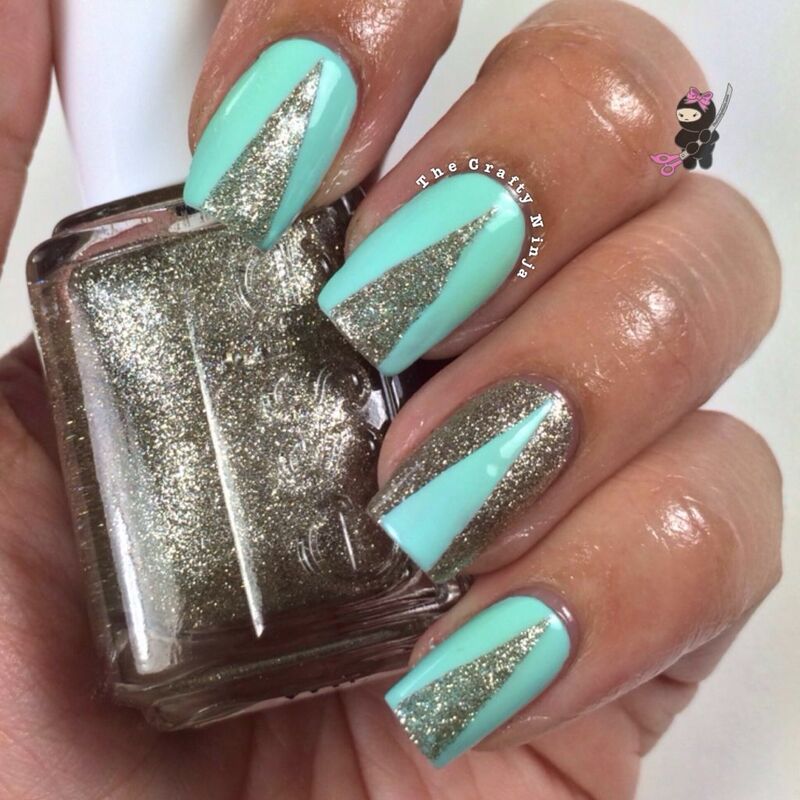 I also used Nail Striping Tape and Winstonia Store Tweezers.